Fantastic Townhouse in Davenport, within a well equipped leisure complex. 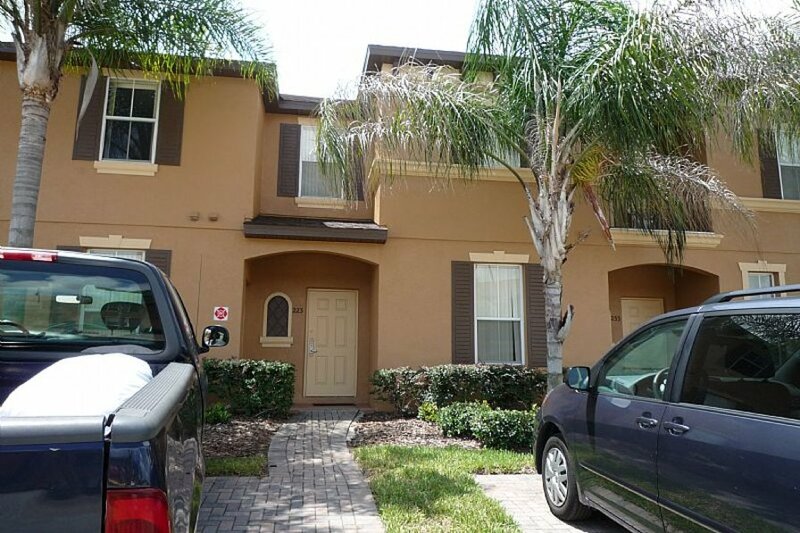 This luxurious townhouse is ideally located just 15 minutes from the Disney Parks. Situated within a leisure resort with easy access to all the facilities. The ground floor of this fully air-conditioned home features a large open plan lounge and dining area, a fully-equipped kitchen (including electric cooker, microwave, fridge freezer and dishwasher) and a bedroom with a bathroom. The lounge area leads onto a small covered terrace. The first floor comprises a family bathroom, two more twin bedrooms, and a large master bedroom with en suite bathroom. Towels and linen are provided. There is cable tv in both the double rooms and wi fi internet is available throughout. Within the resort there is a Club House, Sports bar, restaurant and a tropical heated pool with slides and waterfalls, BBQ area, sun terraces, games room, gym with spa and a conference centre. There is a supermarket next to the resort and many shops and restaurants within a 5 minute drive along the 192. Most visitors to Davenport use the town as a base to visit places like Walt Disney World, Epcot, MGM Studios, Animal Kingdom, Universal Studios, Islands of Adventure, Sea World and Wet 'n' Wild Water Park, all located in Orlando, just a short drive away. Golfing is a fairly well represented sport in Davenport, with two large golf courses,Highlands Reserve Golf Club and Ridgewood Lakes Golf & Country Club.